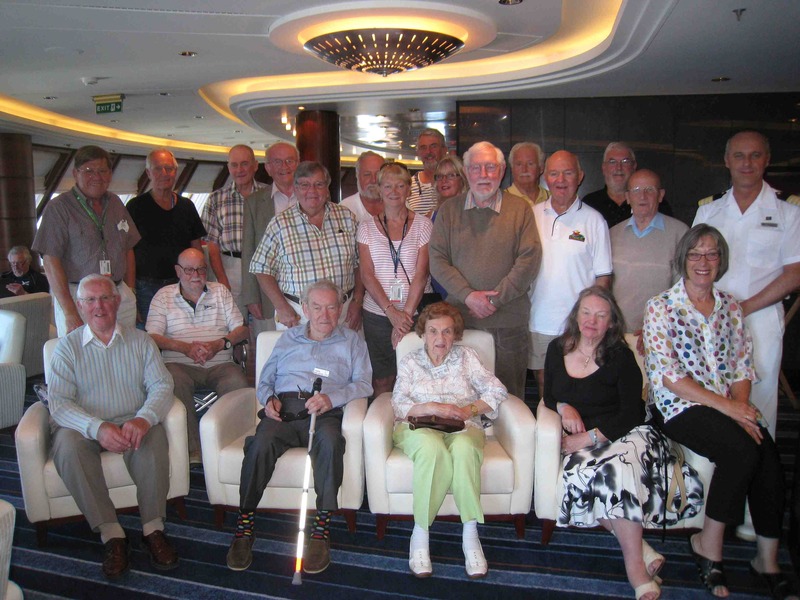 A few years ago, a group of Rotarians from the United Kingdom and Australia boarded a P&O cruise ship ready for an exciting vacation. When the group of Rotarians gathered for an onboard meeting advertised in the cruise newsletter, they realised they wanted to do more than just chat about their club activities. The group talked about how they could work together on a project to help the people in the regions they were travelling. The Rotarians knew an earthquake had devastated Rabaul in Papua New Guinea in 1994 and their local hospital was only partly rebuilt. 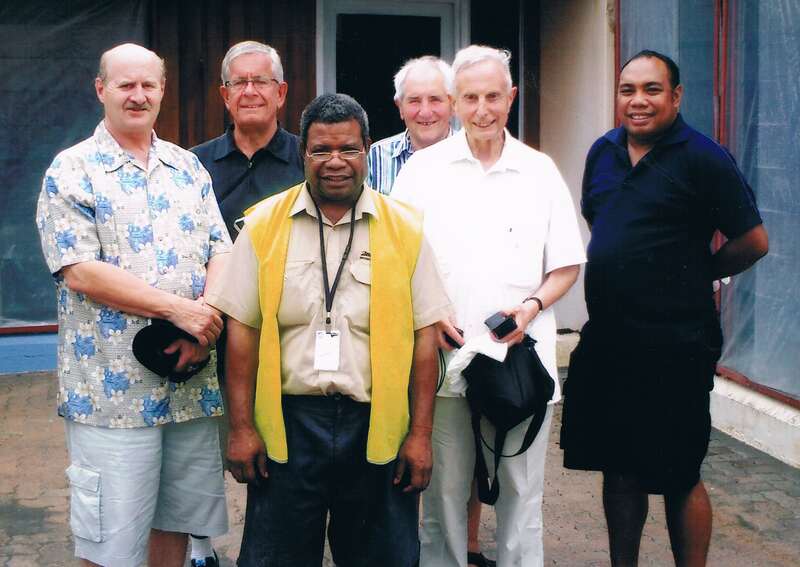 They arranged to meet with Rotarians from the Rotary Club of Kokopo when the liner docked at Rabaul. During their meeting in Papua New Guinea, the cruise liner Rotarians learned that the infant mortality rate in Papua New Guinea was very high and the Rabaul hospital did not have incubators. Inspired to support this worthy cause, the Rotarians got permission from P&O to fundraise on board the cruise liner and within a week had raised nearly $10,000 — enough to buy three incubators for the hospital. P&O fully supported the project and arranged to send the money to the Rotary Club of Kokopo to buy the incubators. The united strength of Rotarians and the power of Rotary can significantly impact lives. Forming a Rotary Fellowship was the last thing on my mind when I boarded the Queen Mary 2 ship for a 19 day cruise a year ago. After nagging the cruise staff a bit, they helped arrange an on-board meeting. I was one of eight very relaxed Rotarians who turned up to the first gathering; eleven Rotarians turned up for the second meeting and 20 for the third. We wondered how we could harness all that’s good about Rotary and cruising. After much paperwork shuffling and liaising with RI, our dream became a reality with the recent formation of the Fellowship for Cruising Rotarians. To tap into 21st century social media communication trend, our Fellowship is Facebook-based. This means we can get information from our members within seconds and hope to avoid annual fees. Rotarians who are not active on Facebook can still join and receive news by email. Our Facebook page serves as a place for members to share about cruising as well as service activities Rotarians can undertake onboard. Rotarians can also connect with other members who may be taking the same cruise well in advance of their trip. The Fellowship will work to get cruise lines to establish programmed meetings on board every liner, and makeup cards for Rotarians to take to their home club. Follow us on Facebook or email us for more information about how to join. Rotary Fellowships, formed by Rotary members, their spouses, and Rotaractors, empower their members to pursue their passions and connect with new friends in Rotary from all over the world. Many Rotary Fellowships undertake service initiatives closely related to their group’s focus. Visit My Rotary to learn more about Rotary’s 60+ fellowships and read about the many service activities these groups organize every year. I read with interest about the article above. The name Mike Oliver caught my eyes. Is he M.A.G. Oliver who was a Rotarian Past President in RC Sitiawan 1974/75. He left Sitiawan after that. He was the manager of Sungai Wangi Estate, Golden Hope. If he is the Rotarian, then I wish to get in touch with him. I hope Maha can throw some light here. Hi, i,m afaid it’s not the same Mike Oliver.